Eek! Did the holidays sneak up on you too? I swear I was just hanging cobwebs for Halloween yesterday, and here we are less than 10 days until Christmas! 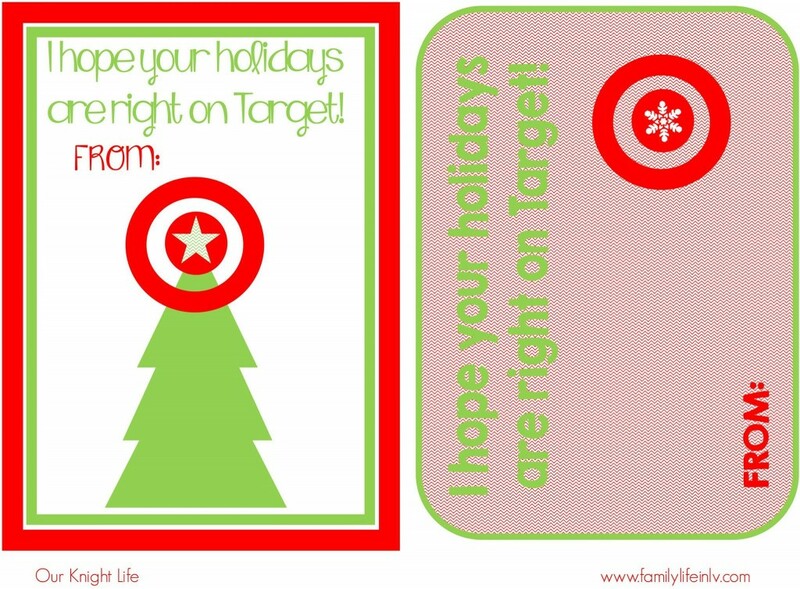 Don’t worry, I have the perfect teacher gift idea: Printable Target Gift Card holders! I love Target. I know my friends love Target. In fact I’ve never met anyone who doesn’t love Target!! I read a few articles recently that surveyed teachers and asked them what they really want for Christmas and gift cards are always right at the top. For some people gift cards seem impersonal, but for teachers I think they are perfect because it means they don’t get 50 socks or hand lotions. 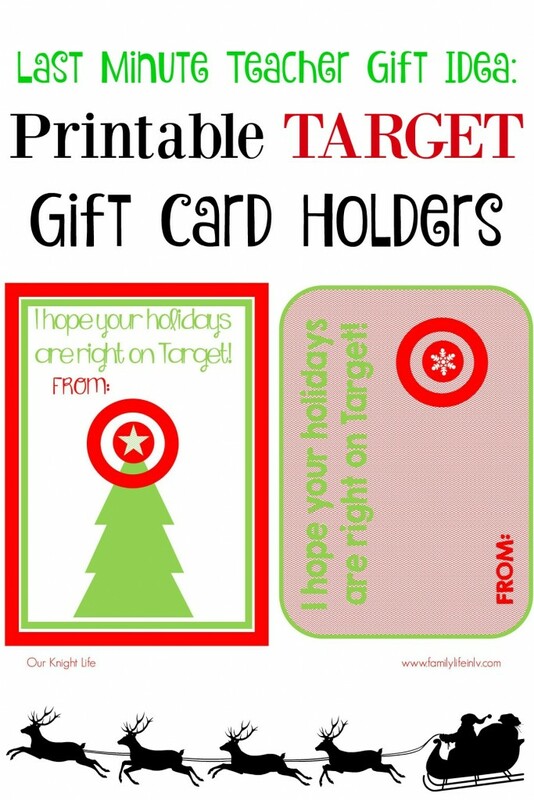 I love these printable Target gift card holders because you can buy the gift card in the amount you want to give, and the just paste them on to the cards. Both designs will be downloaded so you will have 2 print per page. Don’t forget to have your child sign and add their personal touch as well or even draw a picture on the back. You can download your free printable by clicking this link. Be sure you save it to your computer and then print it on Card Stock so it will be able to hold the weight of the gift card. What did you get your child’s teacher this year? Just a friendly reminder. Feel free to print as many copies as you’d like. 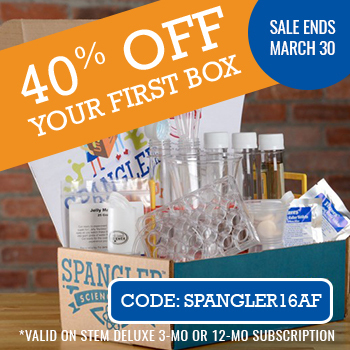 You can use them as gifts, in a group, or for your classroom. You may also share the blog link to the printable with other people that would be interested. If you do share please be sure you give proper credit by leaving a link to this post. Please DO NOT: Sell or distribute this file, host this file on your site, or upload my files to a shared website. Please don’t email the direct image to a friend. (just send them to my site.) If you’d like to link to this free printable please only link to my blog post, not the printable link. Emily is a wife & mom living in Las Vegas. The owner and writer at Our Knight Life, Emily loves sharing her two adorable boys and journey through motherhood. Emily has run four half marathons to date and is always training for her next big race. She also enjoys creating healthy recipes for her family and sharing family friendly product reviews. Thank you SO much for sharing these! These are so much better than the boring card holders you get from the store. Funny you wrote this today! I am actually making something for my son’s teacher right now! This is perfect for it! I’m in love with these. I’ve always thought the stander gift card holders that come with the cards are so boring and cold feeling. Thanks! These are super cute! 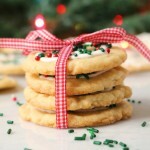 I need to get a few last minute teacher gifts, so these are perfect for those gift cards! I don’t have kids yet. I know the teachers in my family would love a target gift card. Great suggestion. Thank you for these! You actually just reminded me I need to pack up my children’s teacher gift for the morning! This is an awesome idea. The printables add a personal touch and a Target gift card goes a long way. 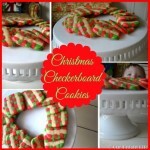 These are such great/cute ideas. I’m going to have to grab some for teachers gifts. Fun and so creative! What a great gift idea. If we still had Target here in Canada this would be printed for my kiddos teachers! These are great gift card holders!! I love Target, and that makes them the right gift card to give for the holidays! This are totally awesome. Thanks for sharing ! These are cute. Great way to dress up a gift card. HA! I’m glad I found this! 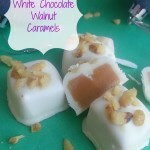 I just posted on my FB wall that I didn’t get my kid’s teachers anything! I can easily print these and run into Target first thing in the morning before school! score! What a great way to give a Target giftcard. 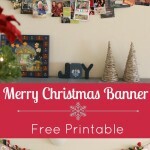 Thanks for the free printables to bring gift giving to the next level. I love gift cards especially for Target. I have saved a lot of money with gift cards. I always love printable things. I never thought I would see a printable gift card holder. This is so neat! This is a great printable. Gift cards are a good choice for a teachers gift. The kids like to pick out a gift for their teachers. It changes depending on the teacher.. This year we got gift cards for them. Thank you for sharing your printables. They are cute and I will print them tonight! Very cute! All teachers love gift cards! This is such a great idea. I have a few friends that are teachers and they would love this. I know teachers love gift cards as gifts. This makes it extra special. Thank you so much for your suggestions! I agree with you and was weird because I was almost thinking the same thing in that it feels like we just put away the pumpkins and here is Christmas time!!! Those are cute printables. I’ll be printing some of this later. What a cute idea. This is a great way to make a holiday gift card more personal. Thank you so much for the great free printables. I know so many others like me can benefit from these. Those are so cute! We actually don’t do teacher gifts anymore. When you have 2 girls that have 7 teachers each, it can get a little expensive this time of year lol. These are great suggestions! I don’t usually do this but will keep it in mind for the future. I always love getting gift cards. They are great in saving money. Good thing you shared it. Anyone reading htis who would like to print one of the gift card they are giving me to go to Target… hehehehe 🙂 Kidding. These are great though, and everyone loves Target! Printers are awesome, lets for so many craft ideas. I mentioned to my kids printing something out, they said they want to do it by hand. I am sure that will change as they get older. Those are perfect! I gave my kids’ teachers gift cards this year. Easy way to ensure they get exactly what they need/want. I already have bought a bunch of Target gift cards to give! This is a perfect idea.